There’s so much to enjoy within the flavors of Santa Fe, New Mexico! You’ll find all the special ingredients you need to Master the Flavors of the Southwest. 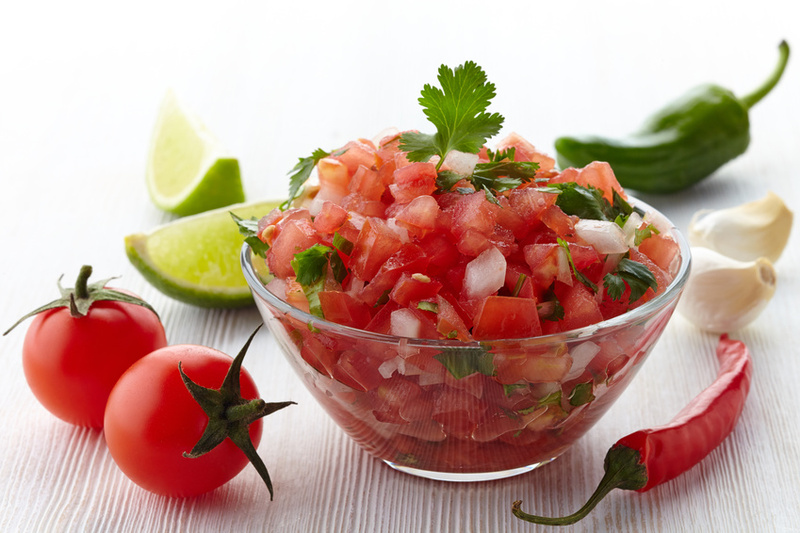 We look forward to having you join us for a tasty and fun salsa making competition! We will break the group into smaller teams and let each team invent their own Signature Salsa. We will be making 3 -4 different types of salsa, depending on the final group size. The Cooking School chef will do a brief overview of salsa and its key components and tricks of the trade, then the teams will prepare their salsa based on a key ingredient with no recipes. The School chefs will be the judges of who makes the best salsa! This is a great way to kick off an evening in the heart of downtown Santa Fe. Appetizers, margaritas, beer, and wine are included. Price to attend is $75/person + tax. The Santa Fe School of Cooking is a regional, recreational cooking school specializing in foods of the Southwest for over 26 years. Our talented chefs have written cookbooks, won prestigious competitions and appeared in the pages of glossy magazines. They share one important attribute—they know how to have fun in the kitchen. Our facility is located on the corner of Guadalupe Street and Johnson Street. The adjacent market is filled with New Mexican products and cookware. All facilities are wheelchair accessible.